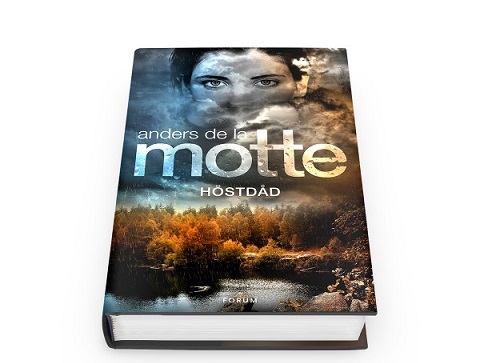 The first novel in Anders de La Motte’s new series was published last year. Just like Mons Kallentoft he’s going through the seasons and now time has come for fall. I admit I may have been a bit unfair when I reviewed End of Summer. It was a big leap from the Geim-trilogy, which had more action and felt so groundbreaking. I wasn’t quite ready to let that series go. Now I have realized it was really good! The Geim-series is also really good, but have a completely different style (read it if you haven’t already). Deeds of Fall is a psychological police novel with a whodunit feeling and resembles End of Summer. It is a novel about the contrasts between the city and countryside. The novel is set in Skåne, southern Sweden, and a crime from the past comes back to life. Anders de la Motte has a new main character, which makes this novel a truly stand-alone crime novel in a series. It’s rare and this character fits me much better and I can relate to her in a different way. Surely she has her issues, otherwise it wouldn’t be interesting, but she isn’t overly neurotic, which is liberating. The main premise is an old case from 1990, where one of five childhood friends is found dead at a closed quarry. The teenagers spent one last summer’s evening together before they were going their separate ways after high school graduation. The case was labeled an accident, but there are of course different theories about what happened. The dynamic between the teenagers is very well depicted. They are five different personalities who hang out because of old habit rather than common interests. What’s going to happen after graduation, which of them will stay in the hometown, which will leave, will he/she leave voluntarily or is he/she running from something? Most of us can probably recognize that bittersweet feeling of the last night with the gang when you know that nothing will ever be the same. The homicide detective Anna Vesper from Stockholm arrives with her teenage daughter after her ex-husband and the father of her daughter has died, as a combined escape/revival. They are two broken souls who need to heal separately and together in the mother-daughter-relation. It’s not easy to come from the capital and take over as the lead after the former police chief, who knew everything there was to know about the community for so long. It doesn’t get easier when Anna reopens the old case and finds out that the old police chief is the father of one of the teenagers. Another parent is the strong man of the town, and in a small town people have each other’s backs. It’s a book well worth reading and is definitely one to remember. Anders de la Motte is a great author, with a good use of language, fantastic descriptions of the environment, a lot of psychology, and a wonderful sense of building tension. I already look forward to winter!